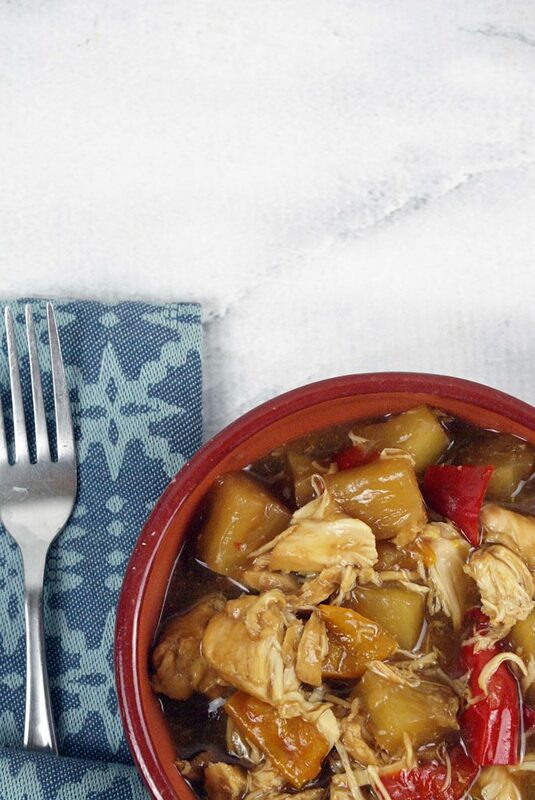 Do you love pineapple chicken? 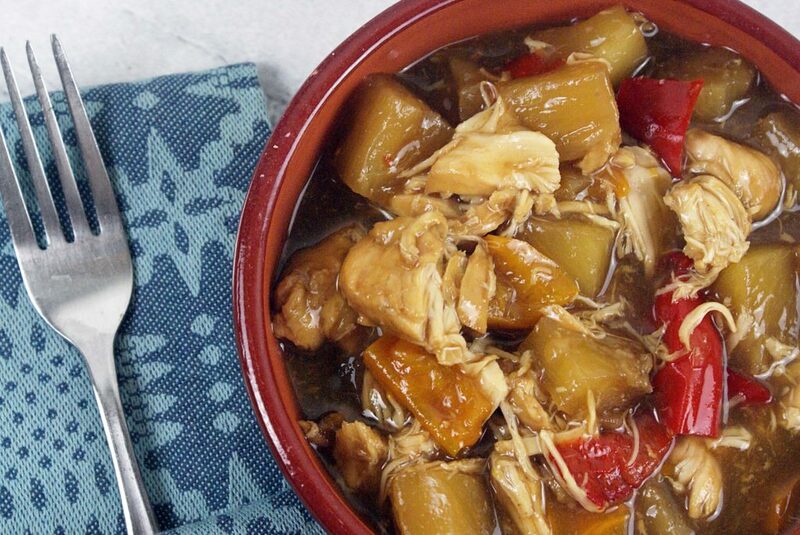 You will love this recipe for Slow Cooker Hawaiian Chicken. It is easy to make and makes a delicious easy weeknight dinner. When it comes to making a create tasting chicken dish, there are so many options. I love the flavors of pineapple chicken. The soy sauce and the pineapple with ginger create a sweet and tangy dish that everyone will love. Can you freeze Slow Cooker Hawaiian Chicken? 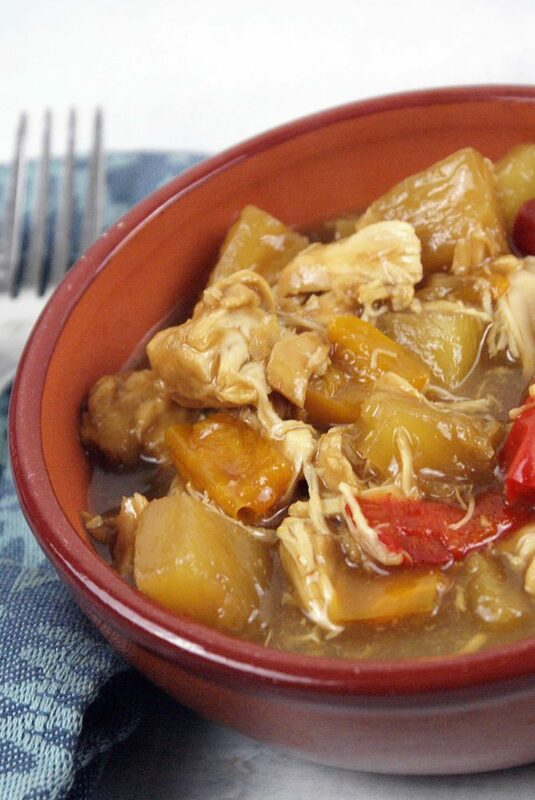 If you want to freeze slow cooker Hawaiian Chicken, it is best to freeze it before cooking. To make Hawaiian Chicken a freezer meal, add the ingredients except for the cornstarch. Add the chicken to the freezer bag last, so the chicken is the first thing to be poured into the slow cooker. If you decide to freeze Hawaiian chicken after it is cooked, let it cool and then add it to a freezer bag. Stored properly, it will remain fresh in the freezer for up to six months. Whenever you are storing food in the freezer, be sure to remove as much air as possible. The great thing about chicken, it goes with everything. There are many ways to serve Hawaiian chicken. I think Hawaiian chicken goes best either served on sandwiches or over rice. If serving as a sandwich, shred the chicken before making the sandwich. Teriyaki sauce – You can change the soy sauce for teriyaki sauce instead. 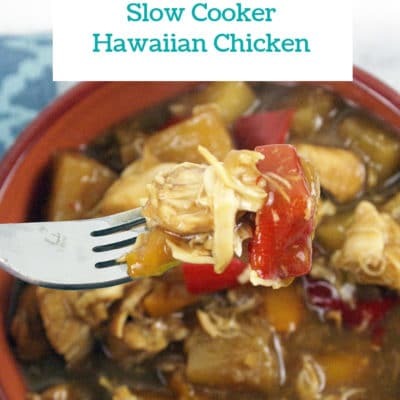 Slow cooker Hawaiian chicken can be made in the oven or the Instant Pot instead. 1. 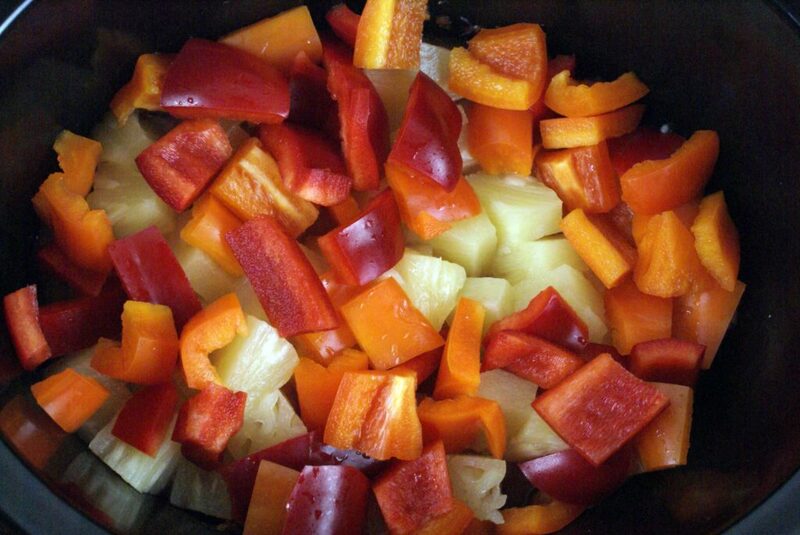 Into your slow cooker, add chicken, red & yellow bell peppers, pineapple chunks, honey, soy sauce, ginger, garlic, and top with brown sugar. Place on low for 7 – 7 1/2 hours. 2. Once done, add in your slurry of cornstarch and water. Gently stir. 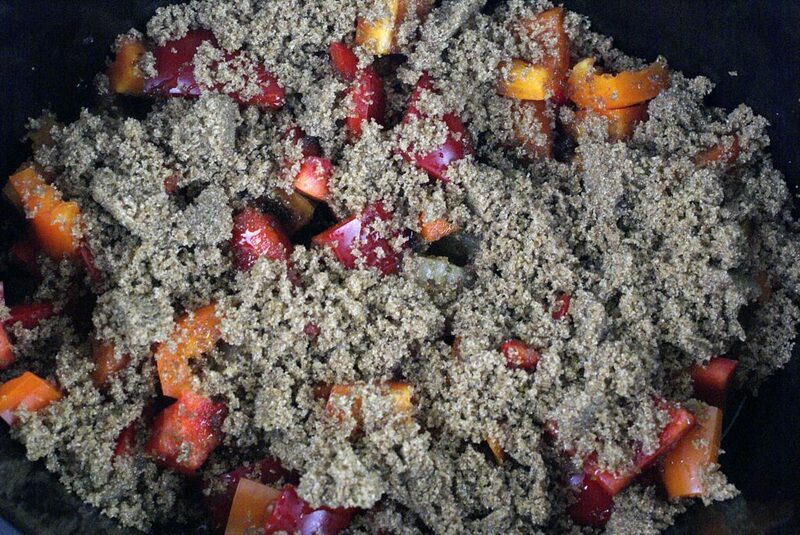 Cover with lid and cook for an additional 15 to 20 minutes, or until the sauce has thickened. 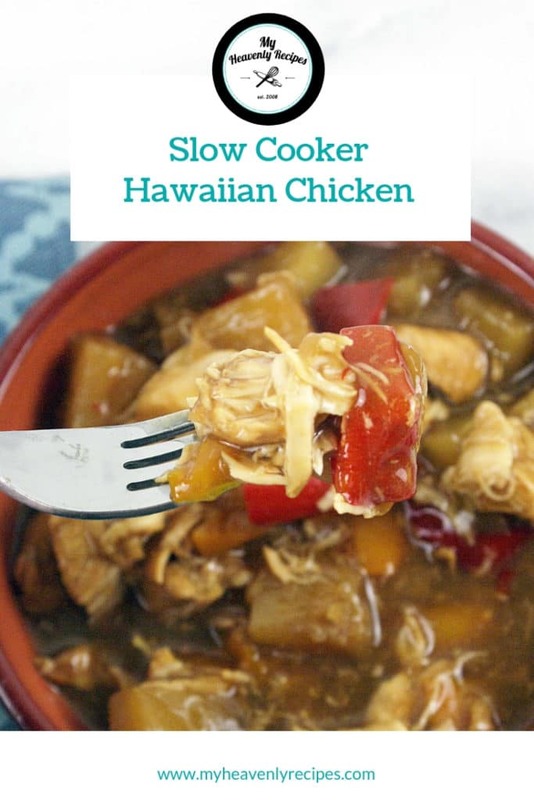 Slow cooker Hawaiian chicken is an easy weeknight dinner. 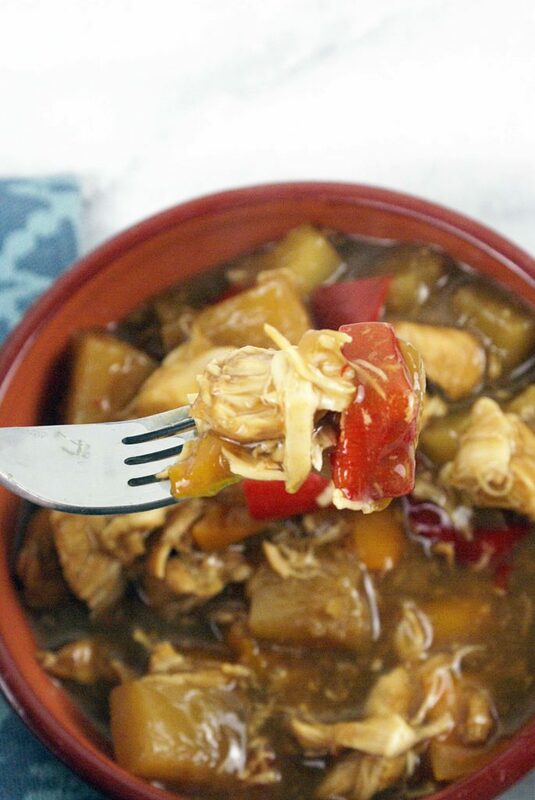 Into your slow cooker, add: chicken, red & yellow bell peppers, pineapple chunks, honey, soy sauce, ginger, garlic, and top with brown sugar. Place on low for 7 - 7 1/2 hours. Once done, add in your slurry of cornstarch and water. Gently stir. Cover with lid and cook for an additional 15 to 20 minutes, or until the sauce has thickened.